Speerville Flour Mill’s whole wheat flour has a high gluten content ideal for pizza doughs. Dissolve honey and yeast in warm water and let foam for 5 minutes. Meanwhile, combine dry ingredients in a large bowl. Add oil and water mixture to flour and mix well. Turn out onto floured board and use up to ½ – 1 cup more flour until dough is smooth and elastic. Place dough in a greased bowl and let rise until doubled. Punch down and roll on floured board. Soak cereal in water overnight. In a small bowl, dissolve honey in warm water. Add yeast and allow to foam for 5-10 minutes. Mix well into flours. Add plumped 12-Grain Cereal and drain any excess water. Add 2 t melted butter, water and yeast to the dry ingredients. Mix well and knead for 10 minutes until dough is smooth and elastic. 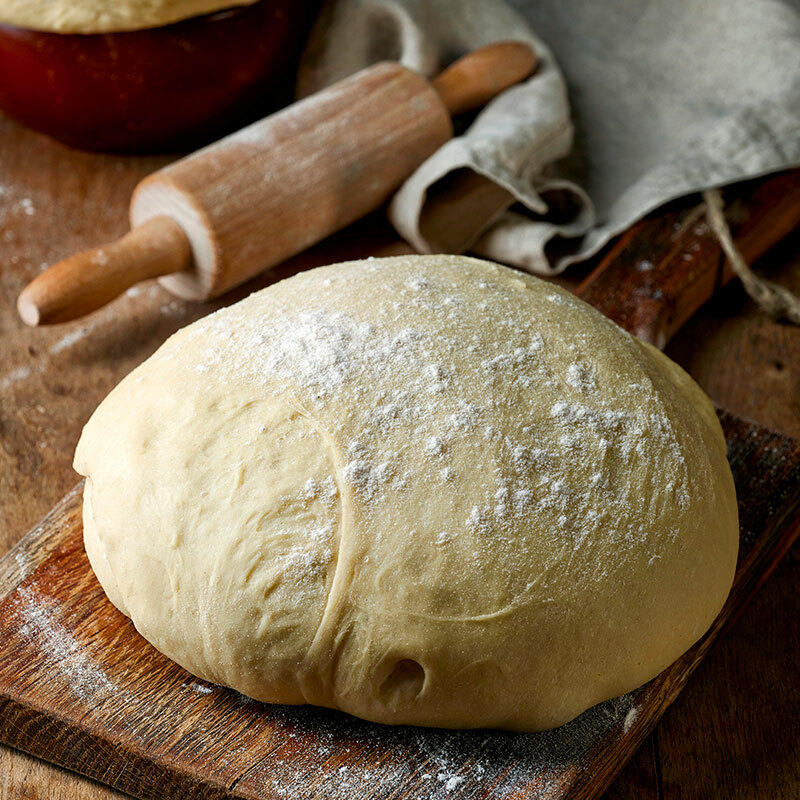 While kneading, use spelt flour to keep the board floured. Place dough in a greased bowl and cover. Let rise until doubled. Punch down and roll out for pizza dough.